Hailed as the heir of David Attenborourgh, Renowned Wildlife Film-maker, Gordon Buchanan, takes a break from wild bears, wolves and cats to talk to Tracey May Halloran about his 25-year career. 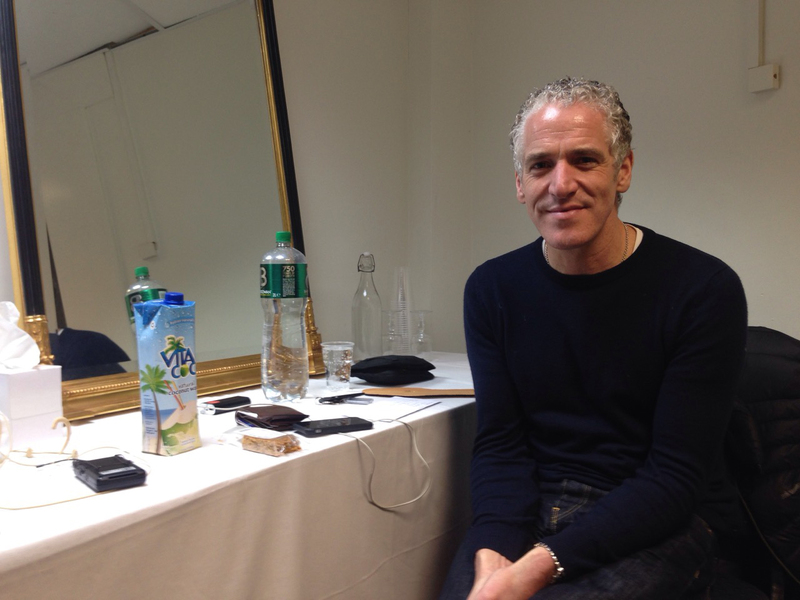 Gordon Buchanan relaxes backstage at the TF in Castlebar. With his mane of curly, grey hair and a curious demeanor, it’s not so surprising that Scottish wildlife film-maker, Gordon Buchanan, feels at home in the wild. In fact- he has spent the last 25 years chasing a snap of the most deadly and awesome creatures on the face of the planet, with series such as Big Cat Diary, Lost Land, and the recent Snow Wolf Family and Me to show for it. Gordon came out of the wilderness and arrived at the Royal Theatre Castlebar for his Lost Adventures tour last year- where, he admits, became truly inspired. “It was great coming out and speaking to people that are so interested. Just driving down the west coast- some of the scenery reminds me of home. On global terms, I would love to come back to Ireland to cover the humpback whales in Kinsale,î he said. After filming wolves in Scotland last summer, Gordon regards them as one of his favorite animals. “I was surprised by how fascinated I was by them. They are a lot less like dogs and a lot more like us than you would ever imagine and hey operate on a very high level. The things that make wolves happy, make us happy,” he said. For Gordon, being surrounded by animals brings true contentment, but he would never have realised his dream without a vote of confidence from his work-mate. With no experience whatsoever, Nick gave Gordon a shot as a cameraman’s assistant. “I didn’t have any other options and he knew that I would take it upon myself to work very hard,” he said. Acknowledging that his big break was a big stroke of luck, Gordon sees others struggling to make it in the industry without guidance. The new year brings with it many exciting opportunities for Gordon, including a UK tour and a trip to India to film leopards, without a hint of fear at the prospect. “In North America 40,000 people are killed every year by domestic dogs. In the last year one person has been killed by a wolf. We want wild animals to be big and scary- but our job is to appreciate them for the power they have and not vilify them,î he said.